1) Pop the hood when you get home. Popping the hood allows heat to escape easily and quickly from the engine bay. The faster the engine bay can cool down, the longer the small plastic and rubber parts in your engine bay last because they don’t get as brittle due to stagnant heat. The battery won't take a beating from the heat either, because there’s moving air to radiate the heat away. 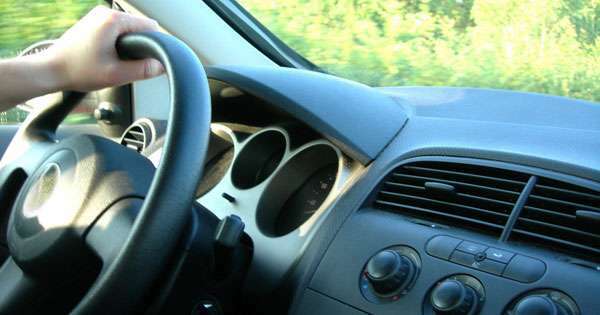 Heat can permeate into the interior, too, which can make your dashboard brittle and crack over time, not to mention slowly eat at the electronic equipment behind the dashboard. 2) Keep your tire valve caps on. From my personal experience, keeping the tire valve caps on means your tires are less likely to go soft over time. Air evacuation from your tires is a reality, and the first place that air will escape from are the tire valves. Keeping them covered will slow down the process significantly. How much of a difference does it make? My own personal experience has seen a 3-5 psi difference over seven days without the caps. Keep them in place and the air pressure will remain the same even after three weeks. 3) If you’re storing your car for a long time, pump up the tire pressure a few psi higher than normal. If you’re parking your car and it won’t be moving for at least a month, you run the risk of flat-spotting the tires or getting them out of round. To prevent this, you should inflate the tires 5-10 psi higher than normal to keep them round. 4) After a long drive, try to avoid engaging the handbrake immediately or getting the brakes wet. If you engage the handbrake when the car, engine, and the rest of the vehicle are still hot from a long drive, there’s a chance that the handbrake shoe will warp and stick to the drum or hub. This might make disengaging the handbrake difficult the next time you drive. Similarly, it will get worse if after you engage the handbrake, you get the brakes wet by washing the car immediately. This will hasten warping and/or the handbrake shoe sticking to the hub or drum. Let the car cool down, and put wheel chocks (aka kalso) rather than engaging the handbrake. This is also a good idea if you will be parking the car for prolonged periods, as moisture and humidity can also cause the handbrake to stick. 5) Always use distilled water for anything mechanical related. Distilled water is your car’s best friend. You can use it to top up the radiator, fill up the windshield washer reservoir, and to clean the corroded battery terminals and poles. Distilled water won't react with the chemicals and other metals in your car’s engine because it is pure water. Mineral and tap water contain chemicals which can cause corrosion or mud-like build-up inside the engine (especially old-school iron blocks). Distilled water doesn’t have minute minerals which can clog up the windshield washer pump and nozzles, and won’t cause further corrosion on the battery poles and terminals. Best part is you can drink it if needed. On a long drive or out-of-town trips, always carry a big bottle (5- or 6-liter bottles are best) inside your car for emergency purposes. 6) Warm up by driving carefully. Warm the car up slowly on the move by driving carefully and avoiding high loads. Keep it in first or second gear for the first few minutes or so, and don’t step heavily on the gas pedal. The longer you let your car idle to warm up, the more fuel you’re wasting. There are exceptions to the rule (such as highly-tuned, purpose-built high-performance engines running big cams, individual throttle bodies on open velocity stacks, carbureted engines and so on), but generally, most modern OBD II fuel-injected cars can run immediately from cold. However, avoid using the air-conditioning which is a huge load on a cold engine. Leave the windows down, activate the blower but leave the compressor off. This allows stale air to exit your vehicle and draw in fresh air from outside too, eliminating any foul smells that could have been left behind. 7) Cool down your car by driving carefully the closer you get to your destination. Cars need cooling down as much as they need warming up. But like warming up, you can do the cool-down on the move by driving gently and carefully on the last 1-2 kilometers of your drive. This gives the engine time to cool itself down to a safe level. Shutting down your car when it’s at the upper limit of its operating temperature and pressure window can also shock the cooling system because circulating water and air is suddenly cut out, since the engine stops moving and the water pump stops rotating. Slowly but surely does it best. Also, it’s a good idea to turn off the A/C a few minutes before you shut down the car as the heat exchanger will heat soak the radiator once everything is turned off. By letting the heat exchanger cool down gradually, it won’t add strain to the engine one you switch it off. 8) Never keep hydraulically assisted steering systems at full turn for more than 10 seconds. On a power steering system that uses hydraulic assist, the pressure operating inside of these systems can reach 15 bar, or basically 15 times the normal pressure we feel and experience. Keeping them fully turned on the locks for more than 10 seconds can cause advanced wear on the power steering oil seals, hoses, and clamps. If you read the fine print of most vehicle owner's manuals, this is actually listed there.